Once known as the "Central Asian boiler room", Kizilkia 100 kilometers south of Osh (also known as the southern capital of Kyrgyzstan) intends to retain the status of a coal-mining town. 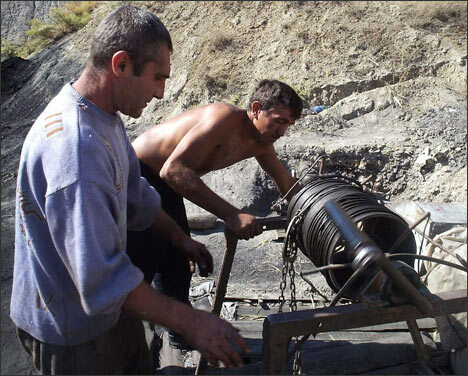 The local authorities are convinced that the Central Asian region will find Kizilkian coal necessary yet. Many regard this optimism as somewhat ungrounded. Kizilkian coal-miners had been producing 1 million tons of coal for the Soviet economy in the 1970s. These days, however, the yield amounts to bare dozens of thousands of tons. Specialists have either immigrated or retired. 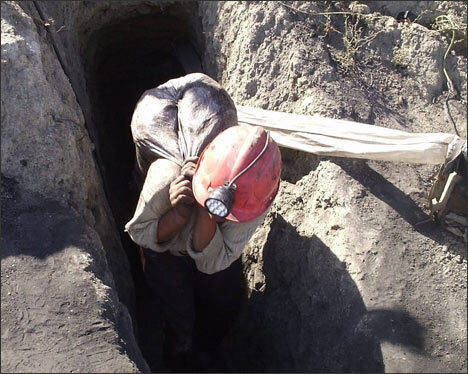 All the same, coal-mining has become a private venture everyone is free to indulge in - even amateurs. Apaches is how maverick coal-miners known in Kizilkia where they mostly operate the once abandoned mines. The yield is sold at the local impromptu market, one that does not remain in one place too long because the local authorities frown on it as a pollutant. What with the recent drop in coal prices, a sackful of coal (just over 50 kg) cost 200 soms or about $6 a month ago. Dealers pay miners 150-170 soms a sackful. Up to ten sackfuls are sold a day - if one is lucky. Coal is sold and bought the year round. July and August, when coal is only bought by barbecue makers (sellers), are the only exceptions. Coal is mined at the depths varying between 15 and 65 meters. Water has to be pumped out of the mines and air pumped in. Pumps in their turn require electricity. Apaches extended a power line into the Rock mine 5 kilometers from the town and split the cost. The generator costs them approximately 2,000 sums (about $60) a month, the sum is divided between 5-6 teams 3-5 miners each. The authorities made a half-hearted attempt to discourage the locals from coal-mining but eventually gave it up as a wasted effort. Policemen on the beat told Apaches the following, "Right, you do whatever you want as long as we have an understanding here that nobody is to be held responsible for whatever might happen. Including your life, that is." Becoming an Apache is actually easy. Buy the set of tools (mining pick, ringer, spade, couple of sacks, and a helmet with a light) for an equivalent of 5-6 sackfuls of coal, and you are in business. 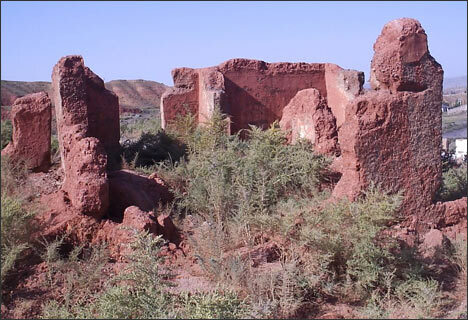 Abdikarim Burhanov of one of the villagers nearby claims that literally thousands were mining coal in the environs of Kizilkia a decade or so ago (including at least 2,000 men from his native village). He himself ferried the coal to nearby townships in his truck and earned the living in this manner. Production went down little by little and prices went up. People started ferrying coal by sackfuls. Burhanov eventually sold his truck and bought an auto to become a private cabby. Farid, 25, is not even married yet. He has already spent 7 years coal mines. "It takes money to marry and have a family, the sort of money I do not have yet," he told Ferghana.Ru. "It's all right as long as I can work." It never even occurs to Farid or his friends to condemn the state for their way of life. They appreciate just being left alone. One Ermek (from a different team) is more "politically knowledgeable". 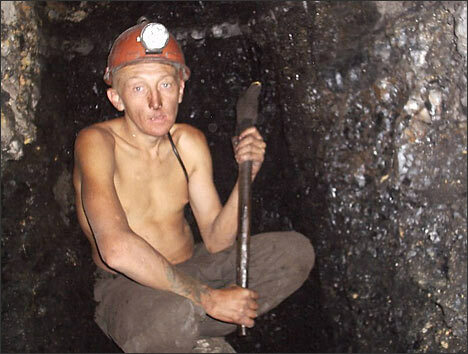 Ermek works summers in Russia and returns to the "native" coal-mines every autumn. "We have our presidents to thank for it," he huffed. "Those guys, top brass, sold everything that was not nailed down - which pretty much covers it all. 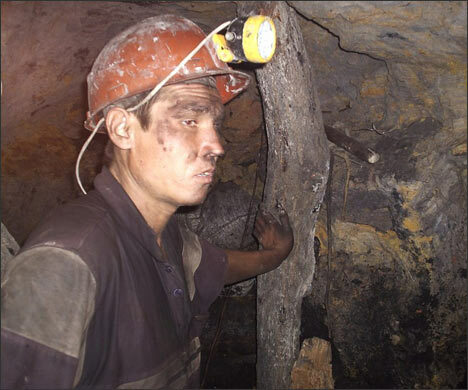 When the USSR disintegrated, that is," said Galbai Madumarov, a coal-miner for the last 17 years. "Unique equipment was sold for a price of scrap metal, and for scrap metal, that is." Apaches are often offered jobs at state-owned mines but the few who accepted came back soon enough complaining of wage arrears. Apaches pay no taxes and therefore expect (or demand) nothing from the state. "We do not want to complain so as not to attract undue attention," one of them said. "Or they'll tax us or something..." As for the local authorities, they turn a blind eye to the essentially illegitimate business because of the unbelievable unemployment rate in the country and, what concerns them, in the nearby area. "Make them apply for official license, and that means responsibility for their safety," local administration executive said. "We did what we could to persuade them to stop it but people need jobs, you know..."
Economic success as a cure? 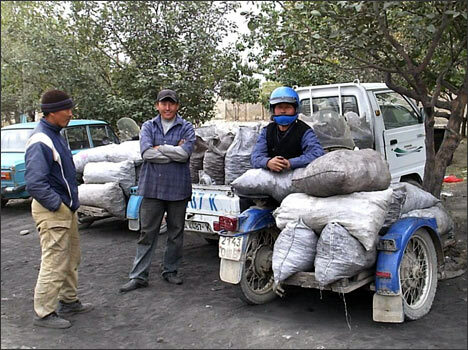 Kizilkian coal was needed and used throughout Central Asia three decades ago but not anymore. These days, its use is restricted to Kizilkia environs only. 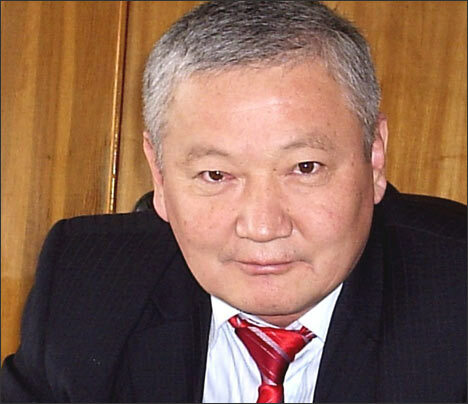 "Kizilkia has always been and will always remain a coal-mining town," Anarbayev said. Russian engineer Mikhailov discovered coal strip mines around Kizilkia in the late 19th century. Coal-mining there began in 1898.